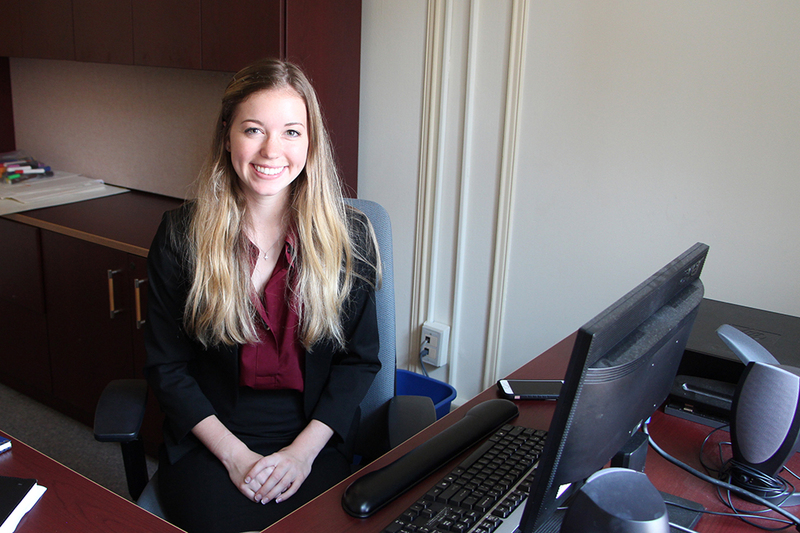 Hello, my name is Sydney Miller, and I am APSCUF’s government-relations and public-relations student intern for this fall semester. I am enrolled at Lock Haven University of Pennsylvania, where I am majoring in political science with a concentration in pre-law. After graduation, I hope to expand my knowledge in the education field while working with education policies and child advocacy. My career ambitions include working with early education policies and funding. I’d also like to run for public office. I hope to start my own nonprofit organization for children in local neighborhoods while working with the Victim’s Intervention Program. I am excited to intern with APSCUF because higher education will open opportunities for me in the field I am so passionate about. It is extremely important to support a union that gives students a high-quality education with a price an American middle-class family can afford. Finally, let me tell you a little more about myself. I am a part of the Pennsylvania Army National Guard as a signal support systems specialist. I am a proud member of Zeta Tau Alpha at Lock Haven University as well as a member of the cheerleading team. I enjoy playing the guitar and singing at local open-mic nights. I have one dog named William who is also my running buddy.